Time Warner Cable's Kansas City Metro Sports recently released their Hy-Vee High School Game of the Week schedule through early October for the 2012 season. Metro Sports broadcasts the games live to the entire Kansas City metropolitan area and it's great for team exposure. Here is the schedule with Sunflower League contests in bold. 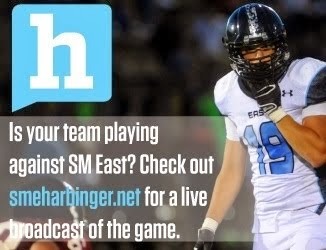 Blue Springs at Rockhurst, 7:30 p.m.
Bishop Miege vs. Blue Valley West at BVDAC, 6:30 p.m.